Emerging technologies like machine learning, big data, artificial intelligence, chatbots, augmented reality, IoT etc. is leading to innovative ways of business processes. New technologies is enabling businesses to overcome barriers to data access and to mining useful insights. For instance, IoT is creating smart products, intelligent insights, and new business outcomes. Similarly, AI is helping in anticipating customer needs and optimize work to deliver faster and effective customer outcomes. With the help of big data and analytics organizations are getting actionable insights and build models that forecasts what can happen under different scenarios. The speakers discussed how successful governments and organizations are setting goalposts, handling challenges and moving on their Digital India journey with scale as well as speed in terms of these emerging technologies. “We are Asia’s largest alcohol manufacturing in India. We are producing about 30 lacs litre alcohol per month. Emerging technologies are very important in manufacturing processes. Fermentation is a process where molasses goes in fermentation and then convert into alcohol. It’s a long process and if you are not going to optimize to the level where we can leverage with the cost; then of course the MRP and the bottom line is going to be on a toss”. “We are the largest citizen-based database. Everybody requires power and water and the emerging technology predominantly utilities multidisciplinary visions. With the introduction of the IOT, we offer better living through innovation. The smart meters which are coming into picture are very useful from the maintenance perspective. 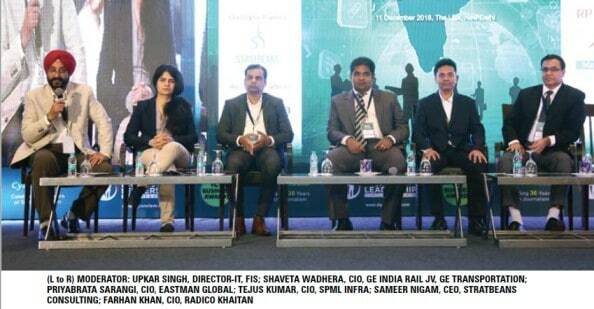 DQ Digital Leadership Conclave 2018-Panel Discussion-Leveraging Emerging Tech 0 out of 5 based on 0 ratings. 0 user reviews.